AGI is the Walgreen’s signage maintenance vendor for more than 1,500 facilities located throughout Florida, Alabama, Georgia, Louisiana, Mississippi and South Carolina. In addition, we provide key services including facility audits, refreshes and upgrades across the broader United State, with more than 500 nationwide stores updated to date. When Hurricane Irma hit, Walgreens found themselves with more than 400 stores in need of repair. From damaged signs to insurance claims that needed to be facilitated, they looked to us—their proven maintenance partner—to solve the problems. 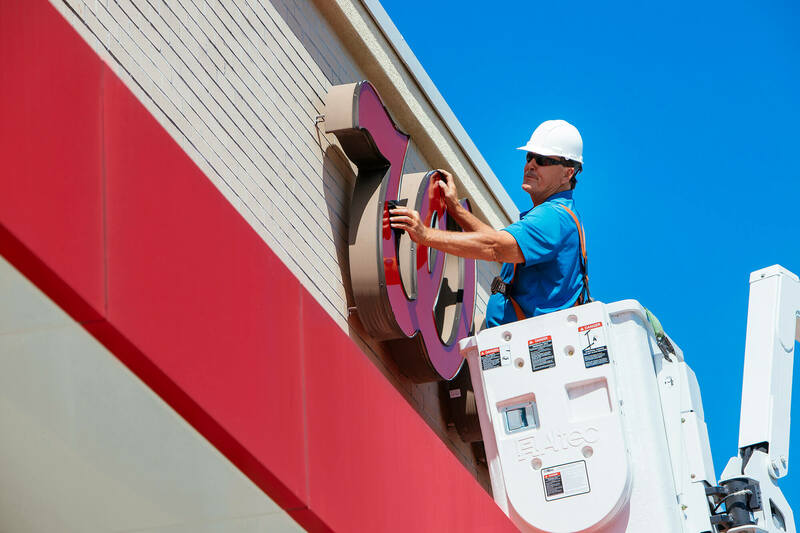 In addition to our established maintenance program, we stepped up our service support to address the extensive damage caused by Hurricane Irma, and helped Walgreens return all of its signage to peak condition. 1,500 facilities maintained throughout the Southern U.S.